A nightclub is a pricey undertaking with a high failure rate. You have to pay the lease, the DJs, security, door people, promoters, waiters, bartenders, and yes, even attraction magnets such as celebrities and hot chicks. Even paying for alcohol license is not cheap: getting an alcohol license for a nightclub operating in Washington DC alone may cost you anywhere from $1,500 to $4,500 depending on capacity, while a permit costs around $3,000 annually. This is definitely not a business that you can start on a shoestring budget of $5,000 or less. Concept and design of the establishment. Given the factors above, the price tag can be anywhere from $25,000 if you’re buying a club to as much as several million dollars! The key is to research carefully the cost of the nightclub of your dreams. You may get to own a nightclub at far less than the low-end estimate, particularly if you are buying one from entrepreneurs in a hurry to sell off their club. Or you may start a nightclub from scratch and find that the required investment is so much higher than our high-end estimate. To more accurately predict your daily revenue, you need to know the following metrics: average drinks per person, average food sales per guest, average beverage sales per guest, average rotation of seating space, among other metrics. Marketing is the lifeblood of a nightclub business. If you expect 5,000 customers at your door in one night, you need to find ways to promote your business, increase the level of awareness about your nightspot, and reach new customers while keeping the regulars. Maintaining your reputation is critical to the success of your business — one lame party can drain the reputation of your business overnight. Nightclubs owners commonly use advertising to promote their business. Radio advertising has proven to be a potent tool for bringing customers to nightclubs, as well as local newspaper advertising. If college students form a big part of your market, advertise in school publications (if allowed) or sponsor school radio programs. Brand awareness can also be enhanced with promotional materials (e.g. flyers and brochures) that can be distributed to patrons, radio listeners, among others. Many new nightclub owners invest a significant portion of their marketing budgets in making a big splash for the opening event. The public relations activity as well as advertising work towards creating excitement about the new night spot. Some owners even sponsor contests giving away VIP passes in radio stations in order to create awareness about the nightclub. 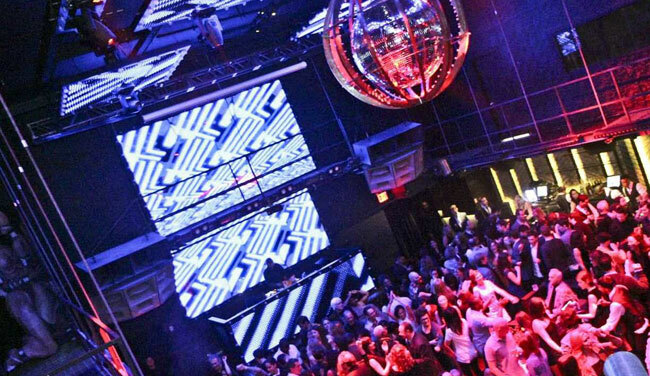 Club events organized by themes have become essential marketing tool for nightclub facilities. Events typically bring up the entertainment factor in the club a notch, more so if the event features celebrities. Imagine the publicity your club will generate if you are able to bring in Paris Hilton to DJ in the club or any of the hip-hop royalties to attend your event! Your club can host large-scale, indoor/outdoor events, frequent concert-style shows, product release parties, etc. If you are targeting travelers and businessmen visiting the area, you need to have a presence where they go and stay. Travelers are often on the lookout for places to hang out at night to relax, unwind, and check out the hottest spots in the area. Reach marketing partnership deals with hotels in order that you may place your brochures in their lobbies, or better yet, guest rooms. Buy some ad space in airports. The hip factor, quality of service and overall reputation of a nightclub can fuel positive word of mouth. Coupled with other marketing efforts, word of mouth is an essential crowd drawer in the nightclub business. For example, people are more willing to check out a club highly recommended by their friends, peers, or relatives, more so if word spreads around that the club is where the hottest celebrities hang out at night. A website is becoming to be an integral element in nightclub marketing. Websites can be an effective tool for raising awareness and catching attention. Make sure your site is listed in regional directories. Many nightclubs hire club promoters to market their nightclubs. Club promoters employ a variety of techniques to get the word out about the club. More than anything, club promoters know people who matter — e.g. people in the business, celebrities, night denizens, and a lot of people already in the scene. They usually have a large following who would willingly attend parties they organize. These are usually hip and cool people themselves, and live the luxe lifestyle. They are not cheap, but the right club promoters can help pack your venue every night. Hi there colleagues, nice piece of writing and good arguments. I am actually enjoying by these. You really make it appear so easy together with your presentation however I find this topic to be really one thing which I think I would never understand. It kind of feels too complicated and very wide for me. I am looking ahead for your subsequent post, I’ll try to get the dangle of it!